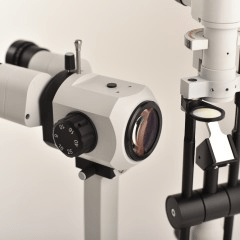 The new LED slit lamp by FREY S.J. is designed for very high performance and reliability. 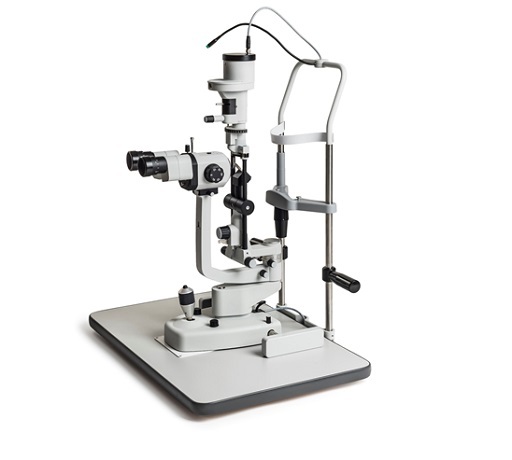 High quality optics assures excellent image quality and resolution. The lamp addresses the need for new technologies by integrating eye illumination and digital camera control electronics and features an innovative LED illumination system. SL-100 comes with all elements important for demanding user. general overview of the eye. The lamp integrates all components and cabling required for connecting and controlling digital camera system. Push button embedded into joystick and the eye illumination system control electronics integrated within the device hardware assures no need for future upgrades in order to add camera system. way hidden inside to improve comfort of using the device. The LED illumination source eliminated heat and infra red emission associated with traditional light sources. Emitted color temperature is independent of it’s intensity to guarantee bright and clear picture. The lifecycle of LED is longer then 50 000 working hours, this eliminates maintenance associated with light source replacement. Electronic circuit controlling LED light intensity is very precise for best slit light performance and control. Optrafair 2019, UK leading optical event. Frey Team look forward to welcoming you on our exhibition booth Z16 during the APAO 2019, Bangkok, a few weeks away! Frey in 2018 – summary of the year. Frey after hours: Adelaide Motorsport Festival 2018. 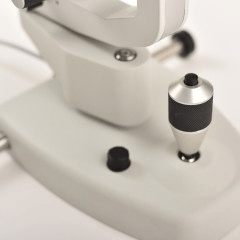 Grafton Optical launches Frey AP-50 Desktop Auto Perimeter.